Becoming LaChaumette. A Journal. 9-28-17. 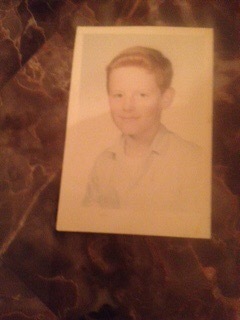 Steve Allen Shumate, my first Cousin. I only learned his name today. I had been told that Lavoid ‘Sonny’ Shumate had a son that preceeded him in death. That was all I knew though, until today. Today, I got a name, and a bit more. 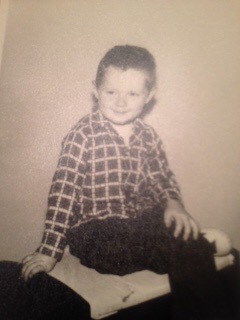 His name was Steve Allen Shumate, born 28th of January, 1956, in Salem, Oregon. that means I had a cousin, 12 years my senior, less than 60 miles north of us when we lived in Eugene/Springfield. It means, when Dad worked at the State Pennitentiary in Salem, back in 1973, he had a brother and nephew, right there in Salem with us. These are all sad circumstances. some woulda, coulda, shoulda moments. Alot of what if’s there, for sure. But the real tragedy, was the circumstances of Steve’s death. The suffering he went through. The fact, that had we known who they were, we, or at least I, would have been there for him. You see, Steve died April 25th, 1988. He was living in The Dalles, Oregon , I think, or had been. He died in Bend, Oregon, about 2.5 hours away. He was 32 years old. Now i had known he existed, but didn’t know his name. I knew he preceeded his Father, Lavoid in death, but didn’t know at what age. I assumed it was younger than 32, to be honest. I was thinking of all those tragedies, first among them car accidents, that take young men in their youth. But I was blown away, by the truth of his passing. You see, my cousin Steve Shumate, died of the complications from HIV/Aids. It stunned me. this was 1988, and I remember the fear, the confusion of the Aids Epidemic. I lost friends to the disease, dear friends. I had no idea I had lost a cousin as well! It is crushing, really. I remember what happened to my friends, I remember the judgement from their consevative families. I remember the humiliation and fear that led some of them to die, alone. A slow agonizing death, with no loved ones, no family. It was tragic, and I fear that my cousin may have faced some of these struggles. this thought kills me, because, I KNOW, if I had known of him, and his tragedy, I would have been there. I would have fought my way into the hospital if I’d had to. And If I couldn’t have been there, as I wasn’t out of the Army yet, I know I would have had people, if not family, there on my behalf. No doubts, I would have taken leave. As I said, I saw first hand what AIDS was doing to people, and I would NOT have left him to suffer without family. I would have felt it my duty to my family to be there for him. I hope his parents were there for him, I don’t even want to imagine that they weren’t. But even if they were there, they too, would have needed the support of family as well. To lose a child, at any age, is a devastation no parent wants to experience. To lose them to a disease like AIDS, to watch them physically diminish before your eyes, would have been HELL. It pains me, to think of my Uncle and Cousin, suffering such, when family was right there! I am trying to find people who may have known him in life, to inform my knowledge of him. I am reaching out, to old friends in the Gay Community in Oregon, hoping someone, might know someone, ya know. It is a long shot. I also can’t seem to find any reference to him in regards to the AIDS Quilt. If he hasn’t had his name enshrined, well, that will change, If I have to get on the sewing machine myself! I couldn’t do anything for him in life, but this, this I CAN do. I can raise his name, speak the unspoken, and mourne with pride, not shame. Posted in genealogy.Tagged death, delachaumette, family duty, gay, hiv aids, homosexual, salem oregon, shumate.